Russian-born chess player Arcadios Feneridis ponders his next move, probably at the 1957 New Zealand chess championships in Wellington. He tied for first place at these championships with a 14-year-old, Rodney Phillips, who became the youngest winner of a Commonwealth national title. 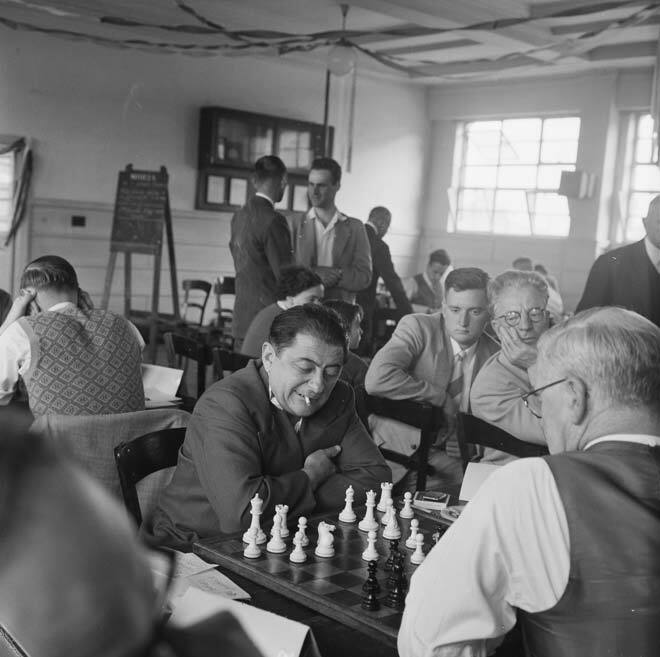 Feneridis dominated Wellington chess from the mid-1950s to the early 1970s.